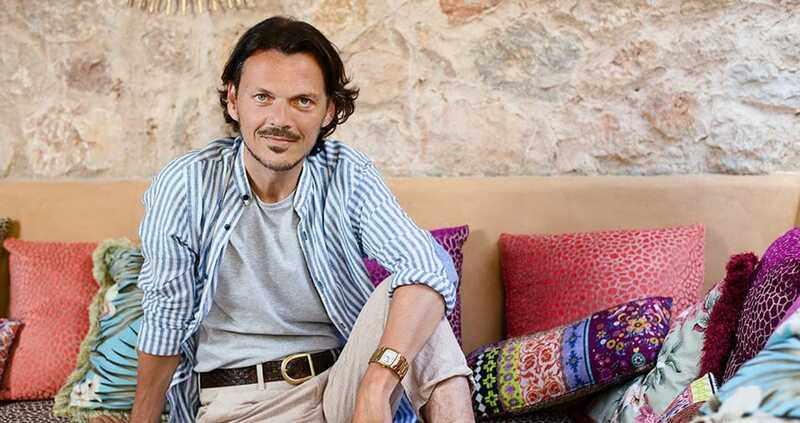 Known for his flamboyant ethnic-inspired prints, swirling bedazzled kaftans and glamorous London party-girl entourage, British designer Matthew Williamson is famous for encapsulating the essence of English eccentricity. 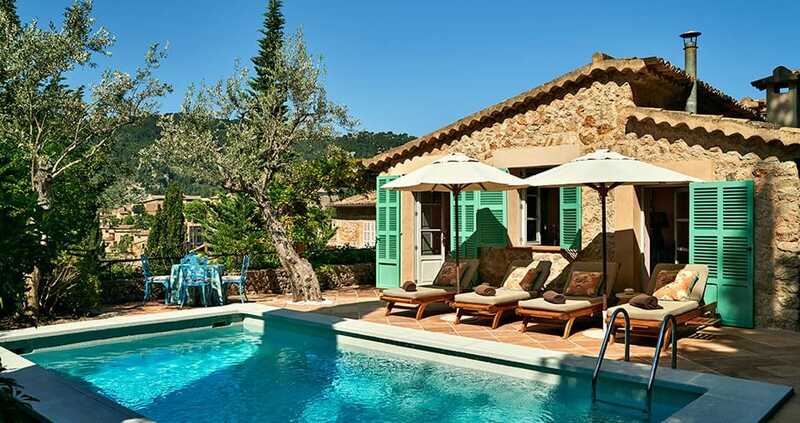 And when we heard he was designing the interiors for Suite 67 at La Residencia in Deià, our curiosity was piqued. His lavishly styled creations are the antithesis of the classical Mallorcan hotel. How would his splashes of psychedelic hot pink and vintage-inspired chinoiserie work alongside the hotel’s more rustic palette of earthy tactility, terracotta and marès stone? 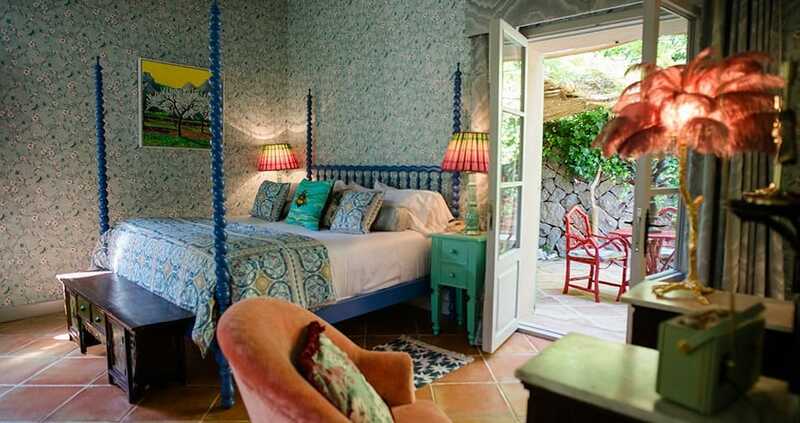 The suite is located through a sprawling maze of halls and outbuildings that could be described as tastefully traditional; Mallorcan wooden benches with robes de llengües patterned pillows and simple bowls of lemons as decor. Leading into Suite 67 the floor suddenly changes to geometric Moroccan tiles, a rattan chair is covered in a patchwork of wild designs. A banquette strewn with velvet cheetah prints are phantasmic in an outdoor snug that extends to a quiet portico. The hosts of the opening for Suite 67 are Williamson’s closest friends. London socialites, Fiona Leahy and Sadie Frost, greet us warmly and Williamson smokes and chats with guests on the terrace. They are relaxed and welcoming, and it feels like a housewarming rather than a five-star hotel. Amber incense infuses the air in the bedroom, which is dominated by a Mallorcan spool bed painted deep blue and dressed in a pale blue peacock-inspired print; the wallpaper chimes with floral blue chinoiserie. It is decidedly calm for Williamson. Vestigial flourishes of his signature psychedelia include a feather lamp and colourful painting by local artist, Alan Hydes, and give the room an edge. A highlight? The cool blues of the bedroom area lead to a secluded leafy terrace where a nail lacquer red wooden table and chairs sit, seductively. “Some things didn’t come!” Williamson laments, as he walks us through the bathroom, which is meant to have colourful tiling, but has pale blue wainscoting instead. He explains how he had to compromise a bit in order to complete the project in time, which may explain why Suite 67 feels to be missing something of Williamson’s decadence. The designer is waifish and bohemian in slim chinos and white trainers and his piercing blue eyes hold your gaze. He leads us through the sitting room past Rajasthani wooden cupboards, also blue with hand-painted flowers. Opening the cupboard doors reveals dark blue fan-printed wallpaper – a lovely discreet gesture. Williamson explains how two years ago, he came to Mallorca to visit a friend in Son Vida, and on a whim took a taxi to Deià. He had no concept of what a Mallorcan village was, but descending into the picturesque pueblo, he felt an energy shift. He fell madly in love with the clean sea air and the turquoise waters…who doesn’t? Impulsively, Williams bought a falling down house in Deià. After 20 years in the fashion business, the self-proclaimed workaholic was tired. He longed for a “slower pace” and he and his partner, Joseph, had a newborn baby girl. It was the right time to make a life change. 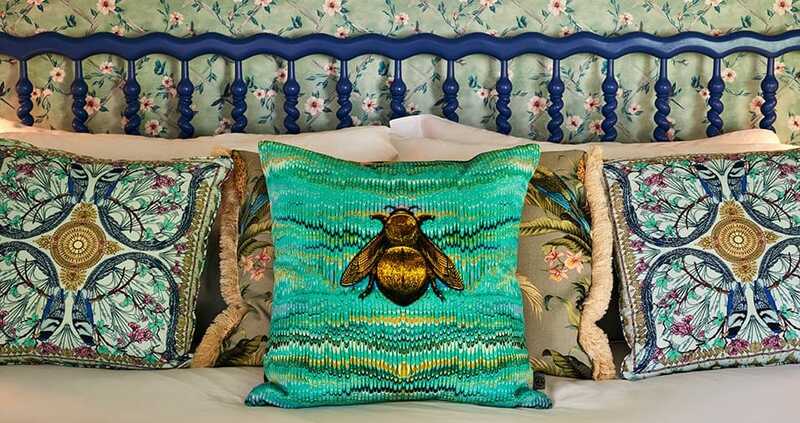 He was also beginning to transition into interiors and he has reinvented his prints into a home collection of furnishings, wallpaper and textiles. His palette and prints are perfect for the Mad Hatter eccentric interiors the English love. We sit in the cosy living room on fantastically florid botanical printed chairs and Tibetan tiger cushions on the golden velvet couch. Books about Mediterranean gardening by Shirley Sherwood and Hugo Latymer sit on the shelves and give insight into Williamson’s direction for Suite 67. 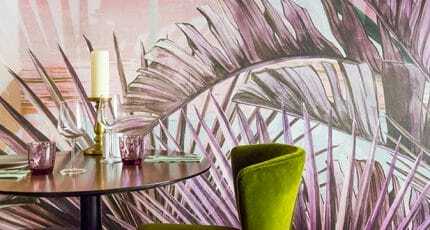 Williamson references Sherwood’s botanical illustrations of local flora as inspiration for his prints for the hotel. Mallorcan plant life ranges greatly from delicate vibrant poppies to architectural agave cactus and fennel flowers. It is a whole new world of inspiring imagery for Williamson, and he is absorbing every detail down to a cellular level. He pauses, quietly smoking on the patio, looking out at the Tramuntana mountains, surrounded by new friends, and it is apparent he is content here. As so many have found, the creative energy of Deià can be alluring for a time, but for some, it is very grounding too. Williamson now spends most of his time on Mallorca, trading in the London nightlife and frantic fashion schedules for picking lemons and gardening with his young daughter, Skye. Look out for his upcoming collection of wallpaper patterns and fabrics, Deià, for Osborne & Little, as well as a new candle line launching this year. Williamson is also available for domestic and commercial interior design projects. 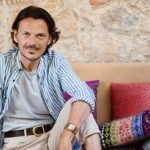 We hope you have found this article about the Matthew Williamson: makeover at La Residencia useful and that you have many memorable stays in Mallorca as a result of our recommendations.